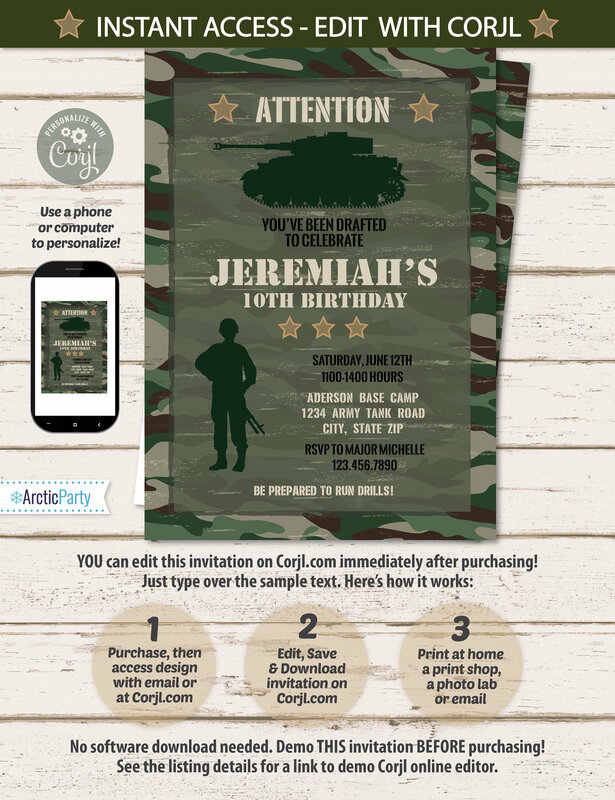 Military Party Invitations - Army Birthday - Camo Invitations - Military Invitation - Military Birthday Party Invitation - Edit NOW! 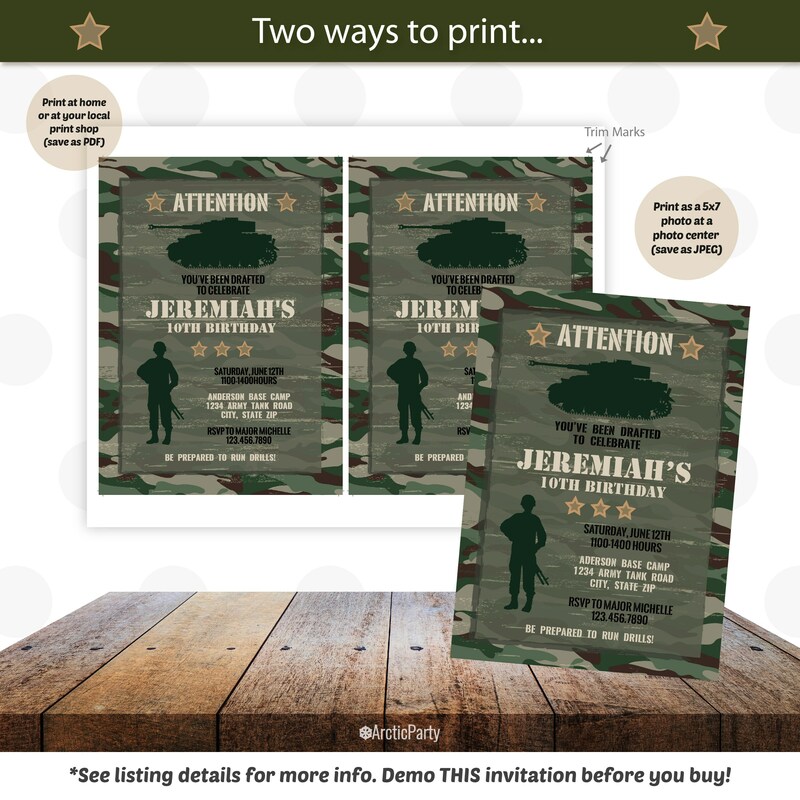 Military Invitations Template! Backside design included. No waiting! Edit NOW from home using Corjl.com. 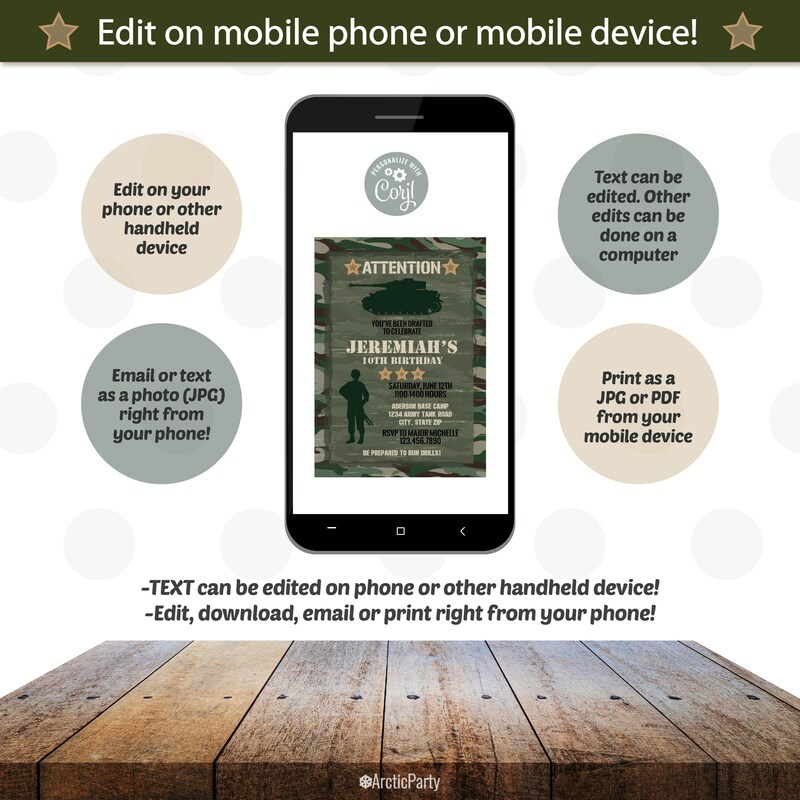 •Works with handheld and mobile devices! 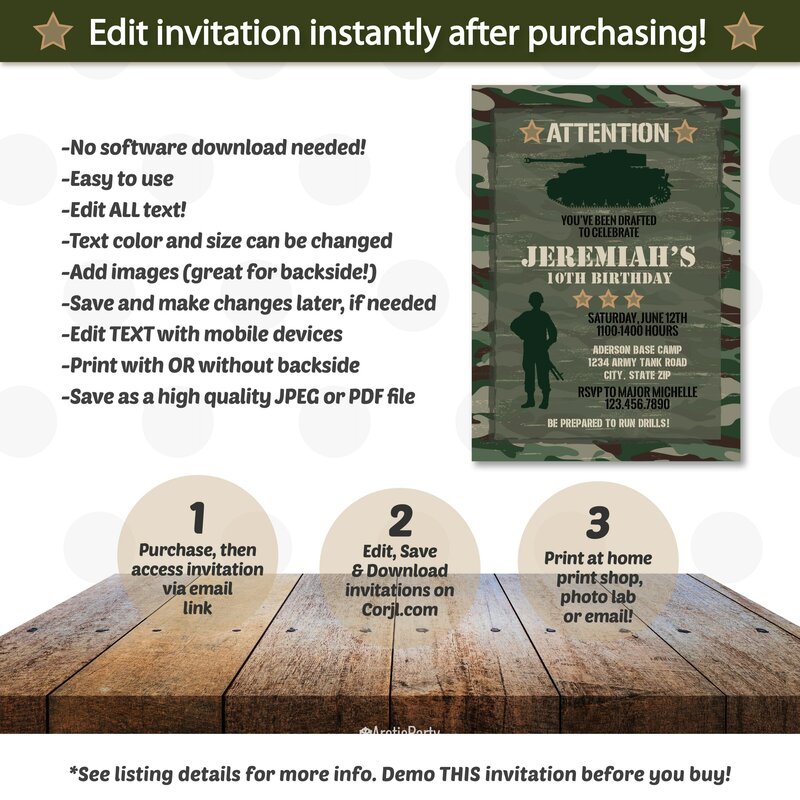 •Add images (great for backside)! !